Within seconds, normally rational, self-controlled people become frenzied killers. Christened "Haters" by the media, the attackers strike without warning, killing all who cross their path. People are afraid to go to work, afraid to leave their homes, afraid that at any moment their friends or family could turn on them. In the face of this mindless terror, Danny McCoyne must secure his family, seek shelter, and watch as the world falls apart. "Attack first, ask questions later" becomes the order of the day. Fourteen people are trapped on Skek, a barren island in the middle of the North Sea somewhere between the coasts of the UK and Denmark. Over the years this place has served many purposes - a fishing settlement, a military outpost, a scientific base - but one by one its inhabitants have abandoned its inhospitable shores. Today it's home to Hazleton Adventure Experiences, an extreme sports company specializing in corporate team building events. Life there is fragile and tough. One slip is all it takes. The world is dying. An abhorrent epidemic is sweeping the globe, destroying everything it touches. Contact with even a single drop of contaminated blood or saliva is enough to spread the disease. Within hours, even the healthiest people are transformed into hideous, germ-spewing creatures. They hunt out the uninfected in their tens of thousands, their sole purpose to continue spreading the infection. On a recently-built housing development on the outskirts of a large city, one man will stop at nothing to protect his family from the coming storm. Brilliant story with a twist at the end. It’s taken Matthew Dunne almost three months to get home. Never more than a few meters from the Haters at any time, every single step has been fraught with danger. But he’s made it. During his time in the wilderness, Matt developed a skill that is in high demand: the ability to anticipate and predict Hater behavior. It’s these skills that will thrust him into a web of subterfuge and danger. As the pressure mounts inside the camp, he finds himself under scrutiny from all sides. He’s always done his best to avoid trouble, but sometimes it can’t be helped. On the heels of Patient Zero and Pride and Prejudice with Zombies comes this electrifying sequel to Hater, in which humanity fights itself to the death against a backdrop of ultimate apocalyptic destruction. The Earth has been torn apart. Everyone is either human or Hater, victim or killer. Major cities have become vast refugee camps where human survivors cower together in fear. Amidst this indiscriminate fighting and killing, Danny McCoyne is on a mission to find his daughter, Ellis. Free of inhibitions, unrestricted by memories of the previous world, and driven by instinct, children are pure Haters and might well be the deciding factor in the future of the Hater race. 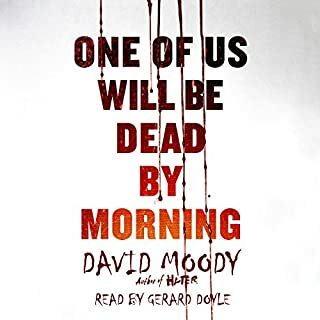 But as McCoyne makes his way into the heart of human territory, an incident on the battlefield sets in place an unexpected chain of events, forcing him to question everything he believes he knows about the new order that has arisen and about the dynamic of the Hate itself. 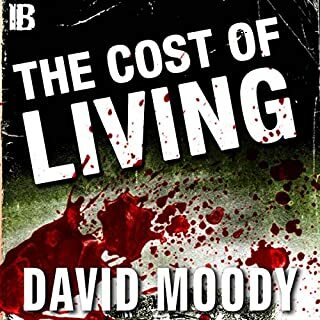 David Moody grew up in Birmingham on a diet of horror and pulp science-fiction books and movies. He worked for financial institutions before giving up the day job to write about the end of the world for a living. He has written a number of horror novels, including Autumn, which has been downloaded more than half a million times since publication in 2001. He lives in the United Kingdom with his wife and a houseful of daughters and stepdaughters, which may explain his preoccupation with Armageddon. ©2010 David Moody (P)2010 Blackstone Audio, Inc. If you read my review of 'Haters' you're probably wondering why did I buy the 2nd book in the trilogy. Well I bought both books at the same time, strictly based on the OVERLY!!! high reviews of it. Well since I bought it I thought I might as well listen to it. 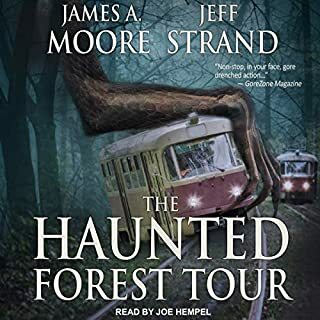 Although this book had a lot more action than the first, and it was nice not to have to listen to the mundane day to day goings on of a BORING, WHINING, British family, I thought there were way to many holes in the plot, and the story went from boring to unbelievable. Now I know this story does not take place in the United States so I don't expect an armed populace like lets say Arizona, HOWEVER!!! come on, you would have figured they would have armed the remaining "unchanged", and conscripted them into the military. The tactics that were used against the 'Haters' were pathetic. For the most part the vast majority of 'Haters' could not control they're rage, so why not go out into the countryside with heavy armor like tanks and apcs. 'Haters' were basically fighting with their hands and/or crude melee weapons which are no match for even light armor vehicles mounted with a 50 cal. A brigade of Bradleys(US apcs) could wipe out tens of thousands of Haters. Not to mention why not the use of chemical or biological weapons. Why nuke a city when you can just as easily gas it and still have the infrastructure intact afterwards. Not to mention conventional high ordinance weaponary like fuel air bombs like the MOAB. Maybe I'm getting to technical and over analyzing the story, but come on, it's not like a conventional zombie book where the numbers of zombies typically increase as the 'infection' is spread. Here there is no infection so the haters numbers should be drastically reduced after each conflict or engagement. Oh well, I'm giving this book 2 stars one more than Haters only because it was an improvement so I have to acknowledge that. Lets hope book 3 gets better. the first quarter to me was slow, but the last half when the planning starts; that's when it really caught my attention. It is more detailed than Hater and I loved that it even got the gritty details in. great book with an interesting story and vivid details. kept me on the edge. What made the experience of listening to Dog Blood the most enjoyable? This book continues where Hater left us. Danny is trying to be who he is and live in the world thats been changed by the Hate. The capture and subsequent "therapy" he's given is feels a bit far-fetched, but keeps the story going and sets us up for "Them or Us" the last book in the Hater Series. I found it a entertaining series, generally I dislike British accents but this narrator didn't bug me. The story goes maybe a third or more of the population succumb to some change that makes them incredibly violent and kill anyone who hasn't changed. Moody's first in this series was, at least to me, unique in its concept and I thoroughly enjoyed it. 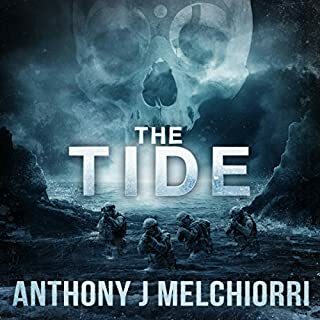 This second book, however, didn't nearly engage me like the first, and, in fact, seems in concept much like McCameron's Swan Song or a dozen other apocalyptic novels out there. It's too bad. 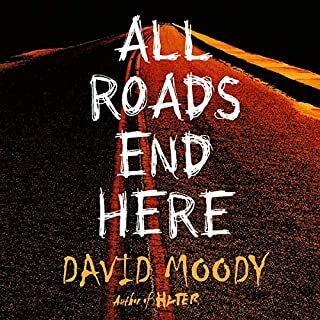 I hate (no pun intended) to say it, but as wonderful a book as was Haters, I think Moody should have stopped there and gone onto something else. Dog Blood is not a good second installment and I have no desire to purchase the third installment. In fact, I'm getting a little tired of this marketing strategy. Moody is too good for this. Dog Blood is a bomb. 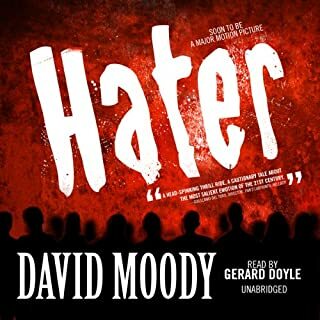 After reading Hater, I found myself wondering where the author could possibly take this story and I was very excited for the sequel. I'm not sure if it was the narrator or just the story, but I struggled to finish the book. I was genuinely sad when the book ended because I wouldn't have the fun of reading it anymore. I have never come across a story quite like this before. It is strange and frightening exciting and sad and amazing and impossible to stop listening to... In case he reads these reviews - David Moody, I beg you to write a third book in the series. 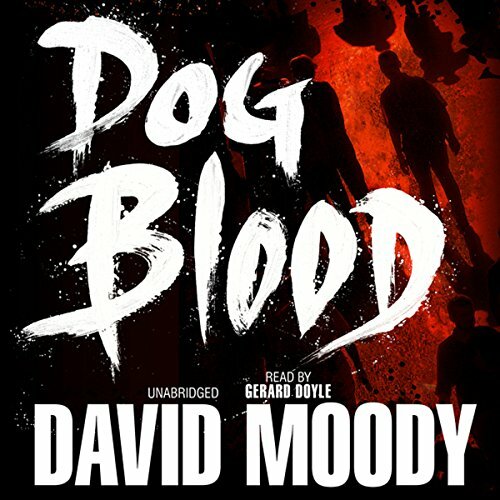 "Dog Blood" is the second installment in the "Hater" trilogy by acclaimed author David Moody. It takes place in England in an apocalyptic timeline. The world has been consumed with "The Hate". Battles rage in every conceivable landscape and way between those who are "Unchanged" and the people now referred to as "Haters". Danny McCoyne was your ordinary and below average nobody. He is stuck in a dead end job and an apartment too small for him, his three children and partner. His life would forever be changed the day the "Hate" consumed him. Instead of the mild mannered wimp he once was, Danny has been transformed into a ruthless cold blooded killer along with a large percentage of the population. The story in "Dog Blood" revolves around this ordinary man who seems to have developed the extraordinary ability to control and harness the hate, a characteristic not shown by many of his compatriots. This ability is detected and refined by others like him for the purpose of infiltration and destruction of the "Unchanged". But Danny's mind is on his daughter, Ellis. He knows that she is like him and is prepared to go to any lengths to be reunited with her. To be with her, protect her, and fight by her side. David Moody portrays a bleak and terrible landscape with the literary equivalent of a Rembrandt painting. His rich and very believable characters and dialogue greatly augment this picture. If writing could be considered high definition, Moody is the master of the HDN (high definition novel). You only need to close your eyes to be able to see the rich picture he has painted for you. Full of incredible suspense, action, and emotion, this second installment in the "Hater" series has it all. You will laugh, be amazed, frightened, and even cry as you are drawn into the struggle to survive. Rarely has any work of fiction attained this level of emotion. I recommend it with all my heart and eagerly await the third installment.